So it is now Friday and I am still working on the index. I actually got it all typed up yesterday, and my fingers were quite tired by the end of the process. 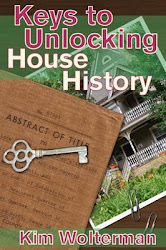 Now I am going through the book line by line to make sure all the page numbers for the indexed items are listed. This is a tedious process, and I have a new found respect for book indexers. I can't imagine doing this for a 300 page book! I am still confused about how certain items should appear in the index. 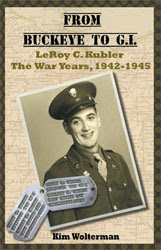 For example, if I am listing Corporal LeRoy Kubler, should it be written Kubler, Corporal Leroy? Then it gets more complicated if the soldier is a Jr. Where does the Jr. appear in the listing? I have googled this issue to no avail. I may need to go to the book store or library and read some indexes for proper etiquette on this. I have posted the question on one of the many online writing/publishing groups I belong to, so hopefully someone can give me a reference. Dummies Guide to Indexing, perhaps? The book designer mailed a CD to me containing the entire book From Buckeye to G.I. so that I could try my hand at indexing the book. I have CS5 which contains the latest version of InDesign. This is a program that I have not had time to play around with much, and is said to have a very steep learning curve. I have a hard enough time with gentle curves, much less trying to deal with steep ones. But what the heck, I decided to give it the old college try. The CD opened nicely in InDesign, and I found an Adobe website with a tutorial on using the indexing feature of InDesign. Looking at the crappy tutorial, I see part of the reason that InDesign has a bad reputation for ease of use. Even the video was awful. But I muddled along and actually was able to create an index. Unfortunately, it only listed the first page a word appeared on and not any subsequent pages, but I think I could have worked through that. What became a major issue for me though was the scanned documents. Apparently you cannot index (through the program) any words appearing in a jpg, tiff or any other scanned format. Since a lot of names and places appear in the 160 scans in the book, this is obviously not acceptable to me. So it looks like I will be creating a manual index after all. I don't feel like what I did accomplish with the program was a waste of time however. It did at least alphabetize a large number of words for me. I will be able to use that as the skeleton upon which to build the rest of the index. I hope to get it all typed up and sent back to the designer by tomorrow afternoon so that he can insert it into the book. The designer sent me the book for review on Tuesday. Right now it is 90 pages long, without the index. I actually thought it would be longer since it is in a 5 1/2" x 8 1/2" format. I printed it out and proofed it yesterday, sending all my comments back to him last night. By this morning the corrections were made, and he had even corrected one error that I had missed. Because of all of the pictures and illustrations, there really was not a lot that could be done with the book layout, but I am pleased with how it turned out despite that. The next step is to index the book, which I have said I will do. In Microsoft Word there is a simple indexing system, but since the book has now been laid out in InDesign, using Word will not help me. I asked the designer if there was any alternative available, and he said "Only if you have CS5, because it has an index utility." Well, as it so happens, I have CS5 (Adobe Creative Suite 5) on my MacBook. Not that I have ever used InDesign, but still... So the designer is mailing me a CD of the book (again the problem with sending it since it is so large of a file) and I will see if I can make magic with the index program. Otherwise, I will be manually writing down all the topics and names along with their respective page numbers, and typing it all up to send back to the designer. Smile gently on me, oh CS goddess in the sky!